These are my five best places to stay in Barcelona. Some are iconic and world famous - such as the Sagrada Familia and the old town and Las Ramblas while others are insider's local tips but all are ideal locations for renting Barcelona apartments. Barcelona is very popular with tourists and these 5 tips will help you walk the best of both its beaten and unbeaten tracks. 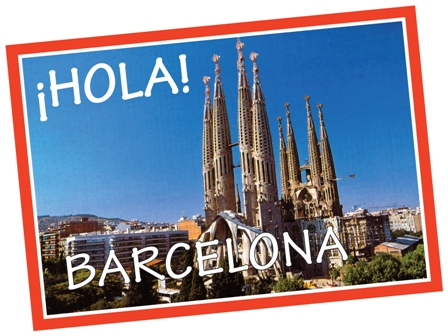 If you don’t have long in Barcelona perhaps stay here as it is the most central district with most sites packed in. El barri gotic is the original and oldest part of the city with roman, medieval, art nouveau and modern architecture packed within its ancient streets. In truth many locals would opine that Las Ramblas are a little over-rated and that their tsurrounding areas are much more interesting. They are certainly bustling and depending on your preferences read into that overcrowded or vibrant. In the surrounding old town you will find the Picasso Museum also, the Port Vell (Old Port), shops, restaurants, windy old streets, pedestrian plazas and terrace cafes. Accommodation here is in plentiful supply but due to its popularity prices can be high in summer. Come summer or winter, Barcelona has wonderful sandy beaches that are extremely enticing to all. The beaches in Barcelona are also very accessible from the centre and are a part of the city itself, they not a long trip by public transport away. Come winter, the beach then becomes a city park used for recreation by locals and tourists alike. It is perfect for gettings some fresh sea air and enjoying a drink and some tapas next to the sea in the winter sunshine. Described by some as an outdoors museum, Passeig de Gracia is Art Nouveau central, and is where Gaudí's Casa Batlló and the Casa Milà (La Pedrera) can be found. Passeig de Gràcia links Plaça Catalunya (the central square) with the former village of Gràcia. Gràcia is a very popular district and hangout place for young people and especially young families in especial. This is probably Barcelonas finest street and home to the most expensive shops and restaurants in the city. It divides Barcelona’s 19th century art nouveau district in two and is the main focus of the neighbourhood. Gràcia village was once a small rural village outside the city limits, until the aformentioned Eixample district was built at the end of the 18th century and it was consumed by the city. Luckily it was not changed at all and maintains its villlage charm. Gràcia is charming and laid back and is where locals hang out at the weekends. It offers an old low rise village with pedestrian streets and squares lined with orange trees, relaxed and informal bars and restaurants and a generally very relaxed atmosphere. If only Barcelona were a stressful city this would be the place to escape it! This is not a well known area in terms of accommodation as it si dominated by the iconic Sagrada Familia. But it is a delightful central residential neighbourhood with Gaudí’s landmark right on its doorstep. If you are interested in the Sagrada Familia then this is a good place to stay so you can roll out of bed early but not too early and beat the queues. Sagrada Familia is part fo the Eixample district and you can get to the centre in 3 metro stops so it is very well communicated, It also boasts ann excellent food market and Avinguda Gaudí. The latter is is a pedestrian rambla and it is a very agreeable place for some refreshments. 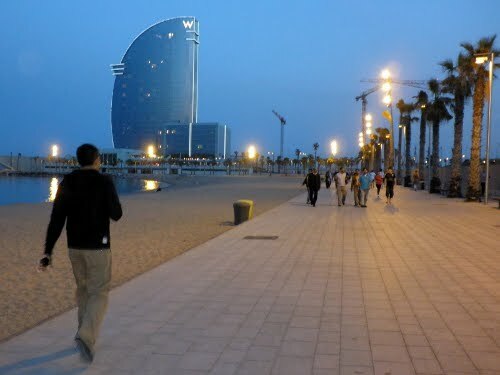 These recommendations were written by the team of www.feelathomeinbarcelona.com. If these districts interest you go to their site here.